David and Penny Square are a husband and wife team who have worked together to create small boxes and other wooden containers. 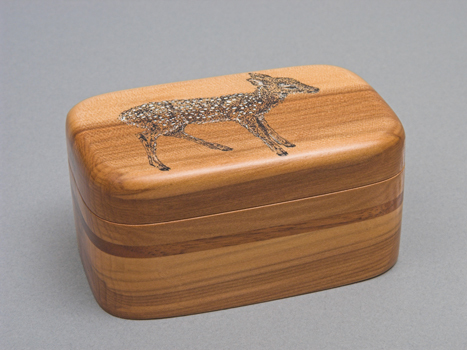 This box, like many they have made, depicts an element of Manitoba wildlife. In this case it is a fawn, still with white spots, reflecting their love of living in rural Manitoba. The image on the top is drawn in ink.